As a final post in this series of three on the 2015 ASLE conference, Salma Monani and I, would like to share the curatorial blurbs for the inaugural mini film festival we organized along with assistance of the conference organizers and local independent theatre, the Kenworthy in Moscow, ID. We heard that the event drew more than 150 conference attendees, which we hope will inspire folks to build a similar event for the next ASLE conference in 2017 (location tbd). When possible we will also include embedded video or links to the films we selected. As a theoretical framework, bioregional thinking has prompted a new way of thinking about the politics of place, apart from the tradition of nation states. Looking to both documentary and fiction film, I argue that these so called Cascadian Films contribute to the production of a Cascadian cultural imaginary through promoting the intersection of Felix Guattari’s three ecologies: social relations, psychology, and the environment. While film and television produced in the Pacific Northwest often places the setting ‘elsewhere’ — such as Battlestar Galactica remaking Vancouver, BC into Caprica City on a distant planet — ‘Cascadian Films’ relish in the real equivalent of their settings by depicting particular landmarks, environments, and people. Each of the films selected for this program relishes in depicting Northwest forests and their power to shape our regional identity. Though but a scant percentage of our old growth forests remain, their shadows loom over our lives here in the Northwest. With an eye to the theme of this year’s ASLE conference, I have also sought to meditate on the space where topsoil meets and mixes with air and water, that porous, permeable meeting space of mushrooms, slugs, and saplings. Finally, I sought to mix three genres of independent film that speak to the promise of Pacific Northwest film, a largely neglected area of study among scholars. North of Hollywood, things work a bit differently. Making money and reaching audiences remain a top priority for media producers, but cultivating friendships, reflecting on the climate, and interrogating the area’s historical complexity are just as important to many media producers, both those who have left Hollywood seeking a more relaxed atmosphere and those born and raised in the area. Apart from two books on the Vancouver, BC film industry published around 2000 (Mike Gasher’s Hollywood North and David Spaner’s Dreaming in the Rain), the Northwest has been almost entirely neglected by film and media scholars, a shocking discovery for anyone interested in all the area has to offer. From early films like Buster Keaton’s The General (1926) and blockbusters like Animal House (1978) to more recent independent fare like Mina Shum’s Long Life, Happiness, and Prosperity (2002) and Kelly Reichardt’s Wendy & Lucy (2008), the Northwest has made enormous contributions to film and media history and deserves the greater recognition events like this will bring. An ode to nature’s often forgotten alchemists and their allies, Fungiphilia Rising is an invitation to explore the fascinating world of mushrooms throughout the American West. By attending mushroom forays and fungus festivals, talking to scores of individuals from mycologists to artists, businessmen to locovore chefs, Fungiphilia Rising paints a vivid image of the secret life of mushrooms and its admirers. In addition to revealing the multifaceted role mushrooms play in our culture, the film aims to bring awareness to the important ecological functions they perform in our world’s ecosystems and in human environments. Fungiphilia Rising is a classically structured documentary film combining footage shot on location with ‘talking head’ interviews with folks like mushroom foragers Larry Evans and Jim Stillwell, leading figures in the mycology movement, Cathy Cripps, Peter McCoy and David Rust, and renowned chef Anthony Strong. Lovers of high definition and time lapse experimental documentary films like Microcosmos will feel right at home in Kurtis Hough’s Mossgrove, an audio-visual meditation on the kinetic expressions of slugs. Hough’s cinematography and Rachel Grimes’ lush musical score open up space for the viewer to experience the forest floor’s rich detail. In Bed of Moss the camera shifts from its focus on slugs to the moss itself; opening a doorway of perception into the lines, colors, and shapes of the forest. As ecocinema scholars, we often think about the differences in the way viewers interpret and make use of cinematic texts. For example, experiencing the world of a wordless documentary like Mossgrove / Bed of Moss is an adventure in perception different from that of a classical documentary like Fungiphilia Rising. What do you think of this difference? Directed by Kurtis Hough, the film was produced by Hough’s Portland, OR studio KH Studios. It has screened at festivals throughout the United States and Canada. Mossgrove / Bed of Moss from Kurtis Hough on Vimeo. Set to music by Lara Mulvaney, Renwick’s film serves to remind us how the Pacific Northwest soil has been exploited from the beginning of its discovery by Euro-American settlers. Renwick’s terms “haunting,” “looted,” and “Eulogy” indicate her intention with the film. And when you see the size of the trees hauled off by semi-trucks in the film it is easy to understand Renwick’s point. Perhaps the most poignant image in the film, however, is the shot of the young saplings, which are shown off as if to suggest that the soil will continue to give and give for mankind’s benefit. Yet when seen in the context of Renwick’s film, the image resonates with the films’ title to suggest that the saplings are the food of the earth, exploited by humans as a weapon in our war. Food is a Weapon is comprised of found footage from 1940s documentary films, originally filmed on 16mm and Super-8 and transferred to 16mm. The film is included on Renwick’s DVD, North South East West, a compilation of short films produced over her 30+ year career as an independent filmmaker and artist. Renwick’s work has been featured at numerous museums and galleries across the Northwest. Many thanks to the Northwest Film Center and Portland Ecofilm Festival in Portland, Oregon for suggesting a number of terrific films as I planned this event. Thanks to the University of Idaho for hosting this year’s ASLE conference and the Kenworthy Theatre for hosting this inaugural film festival. Thanks to the Northwest Filmmaker’s Festival and Portland Ecofilm Festival for recommending a number of great films during this process. Thanks also to the ASLE conference planning committee for their help in organizing this event, particularly Anna Banks, Erin James, Jennifer Ladino, Russell Meeuf, Scott Slovic, and ASLE managing director, Amy McIntyre. A special thanks to University of Idaho librarian Rochelle Smith for assisting with purchase of the films and ensuring that they will be archived in the library for future use by students, faculty, and the public. Indigenous cinema is underground cinema. Termed Fourth Cinema by Maori filmmaker Barry Barclay, it rises to protest representations imposed on indigenous people by mainstream First (Euro-American) Cinema; and it does so, most often from the margins, with minimal budgets and with grassroots chutzpah. What does it mean to resist centuries of hegemonic stereotyping and marginalization? What stories are Fourth Cinema filmmakers telling, and how do they do so in ways that blur indigenous cinema into ecocinema? We encounter what looks like the Northwest landscape only fleetingly on the screens that serve as backdrop to the human exhibits who live in Erin Li’s Kepler X-47. A sci-fi dystopian fantasy set on a distant planet in the future, Kepler X-47 is grounded in Li’s anti-capitalist conceptual exploration of human zoos as allegory for how, as she describes, “most of us accept life as it is, without question, and are willingly chained by the pursuit of a tainted American Dream.” Co-produced by Kaz Kipp (Nez Perce/Umatilla) and screened at festivals such as ImagineNATIVE, it also speaks to the madness of colonial hubris that blatantly exhibited indigenous people, and as allegory of the Indian residential school legacy, which followed in the wake of missionary influence we see reflected in Hagan’s In the Similkameen. From Kepler X-47’s allusions to the residential school system, we face its explicit mention in Lisa Jackson’s Suckerfish. Animation, childhood photographs, and stylized recreations generate a quirky yet moving portrayal of the director’s relationship with her mother, a woman broken by the Indian residential school system. Suckerfish eschews the sweeping vistas of environment encountered in the earlier films, and concentrates instead on enclosed indoor and urban spaces. Yet, in this redirected focus on the small spaces, including the bodies and identities of herself and her mother, Jackson expresses a grounded eco-materiality in what it means to reclaim her native heritage. Jackson’s reclamation brings us full circle to ná·qc tımíne wısí·x: Of One Heart’s statements of resilience. In its own chosen way, each film of the program takes us backwards so we might move forward, better equipped to understand not only the deep injustice of colonial legacies but also indigenous survivance. Survivance is a baton these films offer its indigenous and non-indigenous viewers in an age of global environmental crises that often seem all too overwhelming. ná·qc tımíne wısí·x: Of One Heart is a theater film produced for Nez Perce National Historical Park in Spalding, Idaho. North Shore worked with Nez Perce people from three different reservations to craft the film, however; “ná·qc tım̉íne wısí·x” means “of one heart” and the film highlights the core values that are shared by Nez Perce or Nimíipuu everywhere. By touching lightly on the history for which the Nez Perce are famous, and focusing primarily on Nimíipuu life and culture in the present, the film creates a portrait of a people who are very much future-focused and in control of their destiny. In this way the film is designed to break through stereotypes that may be held, and allow Park visitors to connect to Nimíipuu people and culture as they are today. ASLE has collaborated with the Nez Perce National Historical Park to organize a conference field trip if you are interested in learning more about the Nimíipuu. You can also learn more about the film, as well as other North Shore productions at their website. In the Similkameen. Dir. Tyler Hagan (Métis). Single Channel 16mm on HD Video; Distributor, VTape. 2013. [Duration 5.39 minutes]. Tyler Hagan is a filmmaker, photographer, and historian based in Vancouver, B.C. whose work engages ideas of landscape, place, and identity. His work has shown at Berlinale, Montreal World Film Festival, ImagineNATIVE Film and Media Arts Festival, as well as online with the Canadian Broadcast Corporation, and the National Screen Institute of Canada. Hagan describes his work: “In the Similkameen is originally a single channel video loop that accompanies an exhibition of photographs, and the interactive documentary Similkameen Crossroads, produced by the National Film Board of Canada. However, it can be screened as a stand-alone piece as well. You can learn more about Hagan’s work at his website. Kepler X-47. Director, Erin Li. Producers, Kaz Kipp (Nez Perce/Umatillo), Gregory Chou and Erin Li. Distributor, American Film Institute. 2014. [Duration: 14.48 minutes]. Based in Los Angeles, Kepler X-47’s film crew are at the cutting edge of an up-and-coming film generation. Kepler X-47 has made the film festival circuit and received accolades such as the Best Short Film Nominee at The Geekie Awards and Grand Jury Golden Reel Nominee – Excellence in Short Film at the Los Angeles Asian Pacific Film Fest. SHOOT named Li as an up-and-coming helmer to watch in their 2015 worldwide search for the next generation of film and commercial directors. Li’s work was also curated for SourceECreative’s The Scout, which showcases unsigned auteurs. Li has directed branded content for General Electric, and her work has been commissioned by Film Independent and featured on Upworthy, Huffington Post, and Voto Latino. Her films have also screened at Slamdance, LACMA Young Directors Night, Los Angeles Film Festival, American Cinematheque, the Academy for Motion Picture Arts & Sciences, and been recognized as a Vimeo Staff Pick and Hammer-to-Nail Finalist. You can sign up to watch KEPLER X-47 here. Suckerfish. Dir. Lisa Jackson (Anishinaabe). Distributor, Moving Images Distribution, 2004. [Duration: 8.12 minutes]. Lisa Jackson has been making films since 2000 and has accrued numerous awards for her innovative treatment of indigenous issues. 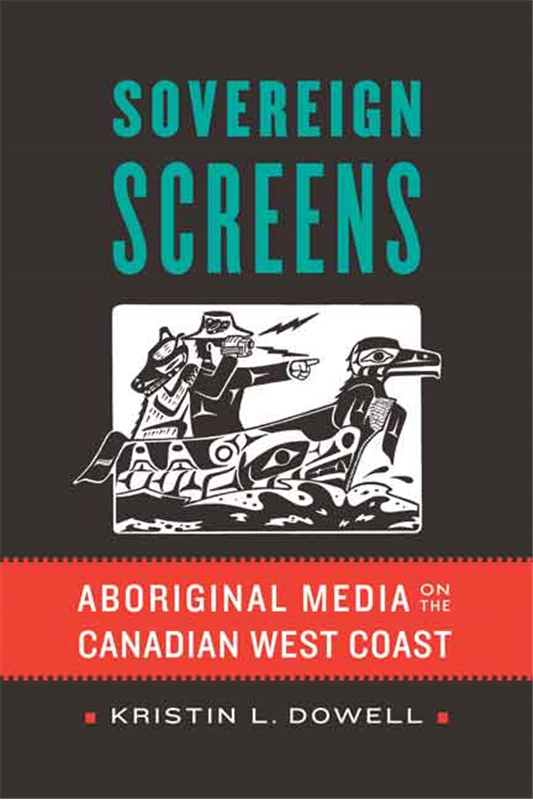 Suckerfish, one of her earlier films, has screened at over 50 film festivals as well as on Canada’s Aboriginal Peoples Television Network and Canadian Broadcasting Corporation channels. Jackson is part of Canada’s current vanguard of indigenous women filmmakers. 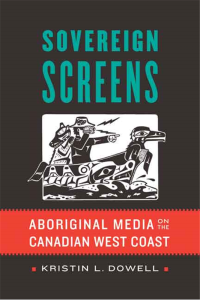 You can learn more about her work at her website, and in the scholarly engagements of scholars such as Kristin Dowell’s Sovereign Screens: Aboriginal Media on the Canadian West Coast (2013). Acknowledgments to the Nimíipuu people for hosting us on their ancestral lands. Many thanks also to the all the filmmakers and their distributors for generously agreeing to share their films for this inaugural film festival. Thanks too to the ASLE Executive Council and Idaho site collaborators for including the film festival in the conference agenda, Rochelle Smith at the University of Idaho library for her immense patience with helping procure the films’ screening rights, Dr. Jan Johnson for her invaluable help with contacting local Nez Perce collaborators, the Kenworthy Theater folks, and to Amy McKintyre, ASLE’s Managing Director.